Writer James Robinson shares his plans for the new series and why DC Comics decided to bring one of their most iconic superheroes out of the closet. Long before Hal Jordan became the most popular emerald ring-slinger in the DC universe, there was another man who wielded Green Lantern’s light. Debuting in All-American Comics #16 (July 1940), the original Green Lantern was a simple railroad engineer named Alan Scott who gained superpowers after fashioning a ring from a magic lantern he’d found. He quickly became one of the most popular superheroes of the day and was a founding member of the first super team, the Justice Society of America. 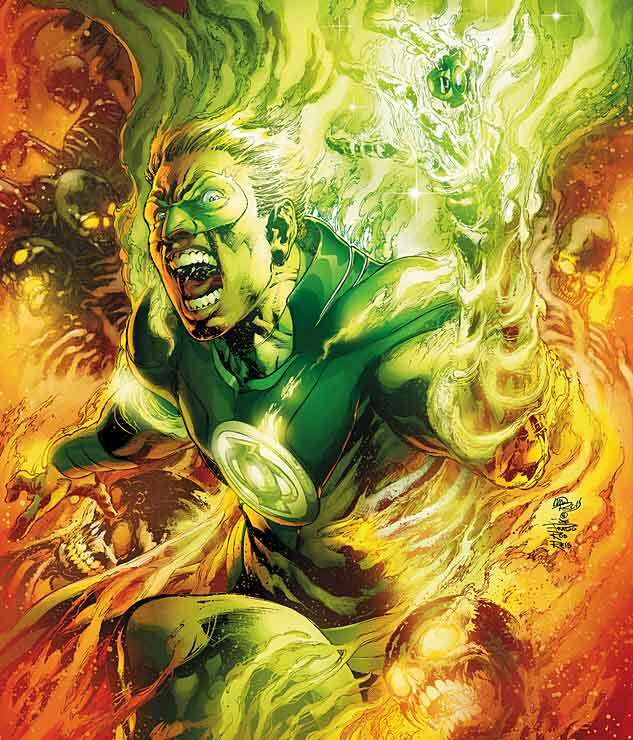 Since then, there have been many versions of Green Lantern – and Alan Scott – flying though the skies of the DC universe, but it’s the comic book company’s most recent incarnation of the original Emerald Knight that has fans talking. Not only will Alan Scott take up the mantle of Green Lantern and become the leader of the Justice Society once more in the new comic book series Earth 2, he’ll also be one of DC Comics’ most prominent gay superheroes. Earth 2 writer James Robinson speaks with The Advocate about his plans for the new series and why DC Comics decided to bring one of their most iconic superheroes out of the closet. The Advocate: What inspired you to bring the original Green Lantern, Alan Scott, out of the closet? James Robinson: It started about eight months ago when I began putting together the Earth 2 team. When the decision was made to reboot the DC universe and make the Justice Society young again, it occurred to me that we would be losing some great characters. In the previous continuity of the DC universe, Alan Scott was an older hero who’d been around a long time and he had a gay son, a superhero named Obsidian. Since we were making Alan young again, I thought it was a shame to lose that gay character. When I began writing Earth 2, I wanted the book to be as diverse as possible, and so I thought, Why don’t we make Alan Scott gay? Why don’t we make the leader of the Justice Society a gay man? I suggested this to DC’s copublisher Dan Didio, and to his credit there was never a moment of hesitation. He said, “That sounds like a great idea.” There wasn’t a lot of soul-searching about it. It really was a simple and logical decision.